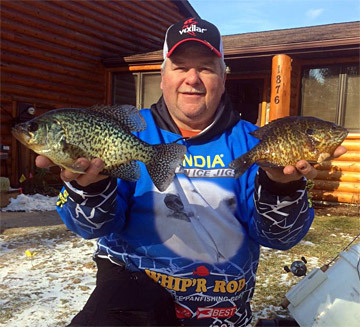 Reports are coming in from all over the Midwest on some great ice fishing success. As you can see by the pictures, some real giants are hitting the ice. 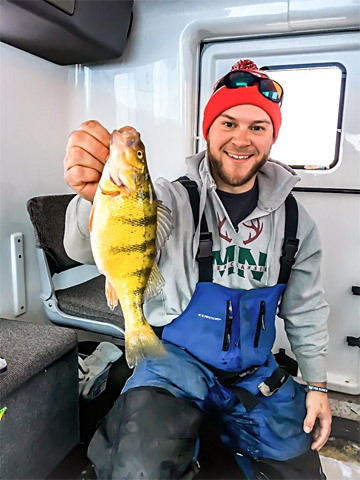 There have been several reports of personal best bluegills and crappies being caught, while limits of big perch in the Dakotas are not out of the question. Despite the weather conditions, there is still plenty of ice on the northern lakes. And with the warmer temperatures, there may not be a better time to get out and give it a try. If you’ve never iced fished before, you’re really missing out. For a minimal investment, you can get started. Stop by any bait shop in your area and they’ll be happy to get you started. 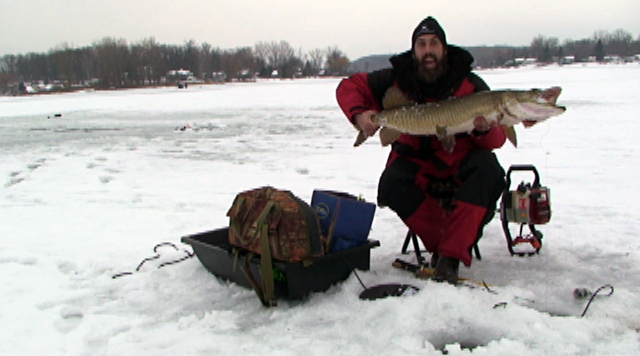 I think you’ll be amazed at how simple ice fishing can be. And while you’re at your local shop be sure to ask about ice conditions. Safety is always the number one concern. 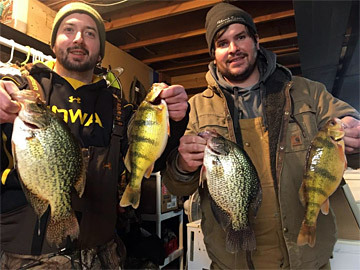 So what are you waiting for, get up and get out ice fishing. 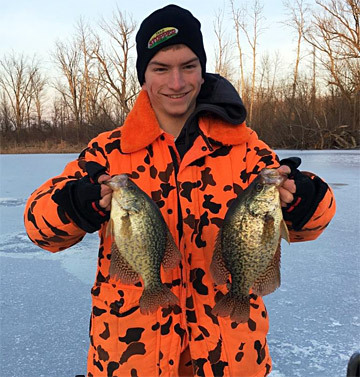 Who knows, maybe you’ll score on some great panfish and enjoy your own ice fishing success… Good Fishing!